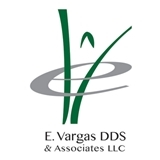 Vargas Dental Associates (Bowie) - Book Appointment Online! We committed to offering the best dental and orthodontic care available for the whole family in a compassionate, relaxed atmosphere, utilizing the most advanced technology available. One of the first things people notice about you is your smile! At Vargas Dental Associates, we are pleased to provide several general and aesthetic treatment options for enhancing your smile, as well as preventative tips and orthodontic treatment with Invisalign®. We appreciate your interest in our practice. Working together we can assist your entire family in maintaining healthy, beautiful smiles for years to come. Please feel free to contact us with any questions you may have. We look forward to hearing from you!